The future: ‘a period of time following the moment of speaking or writing, a time that is regarded as still to come’. In football the future ostensibly relies on youth prospects: who will be the next Maradona, Pele or George Best? As such, youth development becomes of particular interest for many football fans. The initial meteoric rise of Saido Berainho from promising youth prospect to West Bromwich Albion’s survival saviour fuelled an interest in the club’s youth development and often praised academy. However, it has also revealed the rather contradictory nature of youth development in English football due to the Elite Player Performance Programme, an issue that can voiced in a rather Marxist tone reflecting on corporate capitalism: “the rich simply get richer”. Many have pointed to the obvious fact that the goals of Romelu Lukaku, Peter Odemwingie and Shane Long have not been replaced at West Brom, and this sudden decline in firepower was a significant factor in the team’s dismal 13-14 season. While this is indisputable, it would be churlish to focus purely on the goal drought and not the deeper areas of the field – where West Brom have arguably failed even more miserably. Another weekend of Premier League football has come and gone. And another two managers have found themselves casualties of English football’s brutal win-now-and-at-all-costs nature. I have never been a fan of knee-jerk firings. Tottenham’s decision to part ways with one of the world’s brightest young managers, following closely behind Steve Clarke’s sacking, reek of the term. I can’t think of a manager in the past two or three years that has been quite as unlucky as Andre Villas-Boas. He could have been the right man at Chelsea, had he been given the time. As it turned out he was the wrong appointment, as Roman Abramovich searched for a quick-fix for his multi-billion-pound vanity-project. It’s the summer of 2010 and West Brom are embarking on a brand new season in the Premier League. Having won promotion from the second tier, Roberto Di Matteo is in charge and the transfer window is in the full swing. Albion had been linked with several names across Europe, but one that kept on popping up was Somen Tchoyi. An unknown quantity, playing his football in Austria with Red Bull Salzburg, it was widely reported that Di Matteo was very keen on bringing the playmaker to England. Following weeks of negotiation, lengthy preparation work and the bureaucracy of the UK work permit system, the club finally sealed the deal. Tchoyi arrived on a two-year deal for an undisclosed fee. At the time no one – and I mean no one – knew who the heck this bloke was. As a surge in clicks from the West Midlands descended upon Tchoyi’s Wikipedia page it soon became clear that the 27-year-old, 6 ft 3 Cameroonian had no previous experience in British football. A gamble? Just a bit, but one that Di Matteo had done his homework on. Time would tell whether his decision would pay dividends for the Baggies – then the quintessential year on, year off Premier League to Championship yo-yo team. The 2012-13 Premier League season has undoubtedly been a damp squib. The exceptional events of a year ago seem to have hoarded all the drama and intrigue the Premier League can provide. For the first time since 2006 there was nothing meaningful to decide at either end of the table – save another “epic” battle between Tottenham and Arsenal for fourth, with the wretched Reading and QPR the worst of a particularly sorry bunch of bottom-half sides this year. It’s been a season defined by regression; the first time since 1996 there has been no English team in the quarter finals of the Champions League, an artificially dramatic “Fight for Fourth” and a title race that was, for all intents and purposes, sewn up before Christmas. Misery reigns from top to bottom. 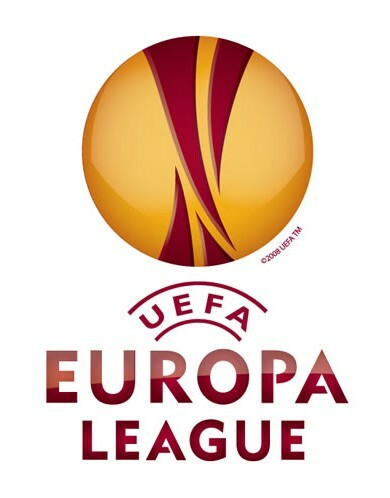 Europa League’s English trio: the West Broms of Europe?